Apple has long understood that hardware products that last a long time result in falling unit sales, as customers opt to keep their old machines instead of buying the latest models; that's part of why the company led the charge that killed every single Right to Repair bill introduced last year -- less repairs leads to more "recycling," which is Applespeak for dropping used units into giant shredders without harvesting any usable parts first. 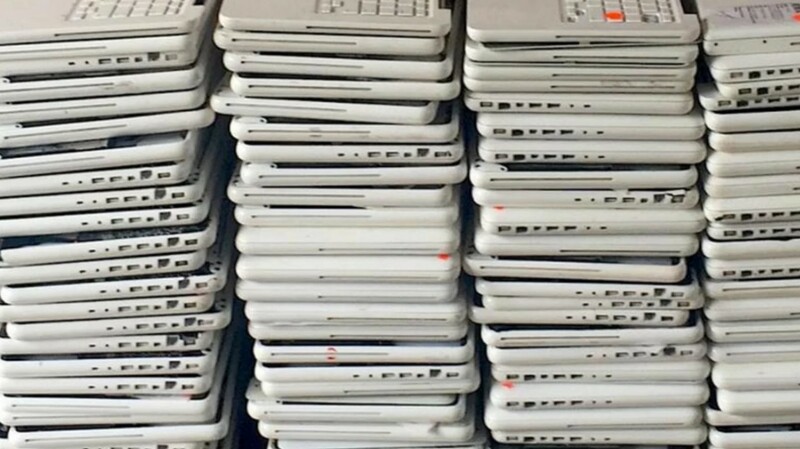 Every year, refurbishers rescue thousands of used Apple products from the e-waste streams, and every year, Apple finds new ways to frustrate their efforts. The latest wrinkle: Apple has gotten Amazon to agree to ban the sale of refurbished Apple products except those that come from Apple directly. Aaron Perzanowski, a law professor at Case Western Reserve University and coauthor of The End of Ownership, told me in an email that this decision is a dangerous infringement of ownership rights. The United States Supreme Court has ruled that people who legally own a product may legally resell it, and federal law protects that right under something known as the “first sale doctrine,” which says that copyright holders give up their copyright to individual copies of a work once it is sold: “the first sale doctrine, codified at 17 U.S.C. § 109, provides that an individual who knowingly purchases a copy of a copyrighted work from the copyright holder receives the right to sell, display, or otherwise dispose of that particular copy, notwithstanding the interests of the copyright owner,” the US Department of Justice explains. "It’s kind of mind boggling to think that a brand would be able to restrict sale of used products"